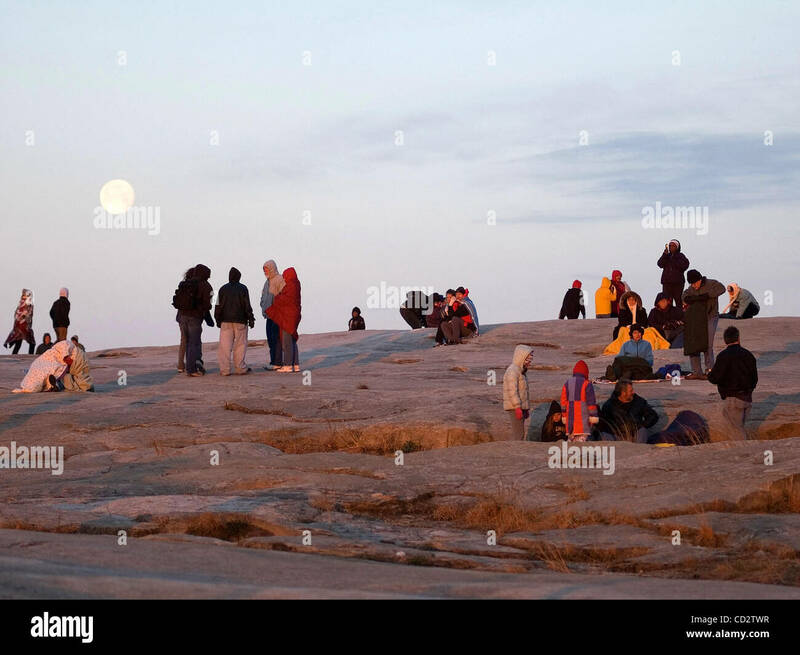 Worshipers watch as the sun rises during the Easter Sunrise Service on the top of Stone Mountain, Ga. as the moon sets behind them. The world's largest piece of exposed granite, Stone Mountain rises 1,863-feet above sea level and it is home to the world's largest relief carving. 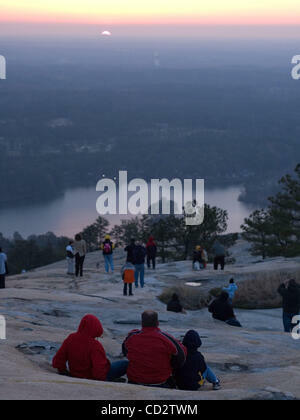 Worshipers watch as the sun rises during the Easter Sunrise Service on the top of Stone Mountain, Ga. The world's largest piece of exposed granite, Stone Mountain rises 1,863-feet above sea level and it is home to the world's largest relief carving.